WordPress framework is a very robust architecture built on wordpress to help speed up the development of your website. It is like a wordpress theme but more powerful and packed with features and functionality. 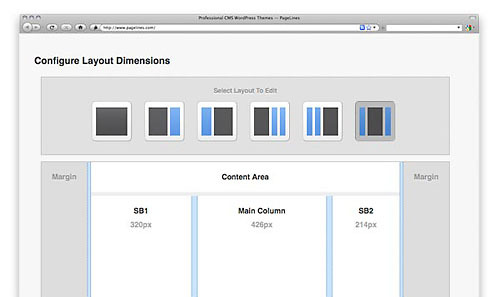 It gives you control over your website layout without having to deal with any code. If you have tried customizing a wordpress theme, you will feel stuck as there isn’t much you can do without any knowledge of HTML, CSS and WordPress code. By using a wordpress framework, all these problems are solved. You can now customize your theme layout with the friendly theme options page without touching any code! And the best part is you can be assured of the SEO capabilities of your framework as it is optimized by an SEO expert. 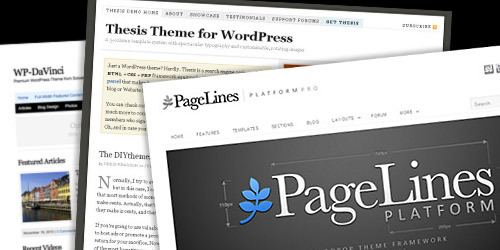 This gives you an advantage over other wordpress themes. – Easily setup your website using a nice theme options page. No coding needed. – Control over your site layout. Change from 2 to 3 column easily. You can also set the columns for each page. – Search Engine Optimized. Most themes are SEO optimized by an SEO expert. This allows your page to rank high in Google and bring in more traffic. – Customize all the details the way you want it! What Theme Frameworks are available? If you like the idea of using Theme Frameworks to customize your site, I have placed a list of the most popular theme framework available on the market. You will be able to find my review on each framework.